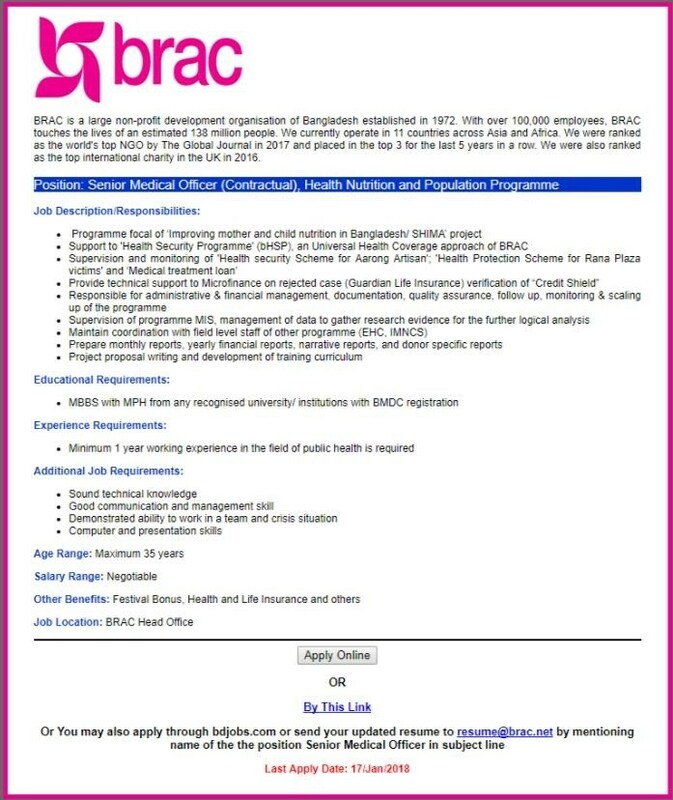 BRAC has published a new job circular for the post Medical Officer in Health and Population Programme in the national dailies. Job description / responsibilities, educational requirements, experience requirements, additional job requirements, are described in the circular below. Maximum 35 years old candidates can also apply for the post. Salary range is negotiable and festival bonus, health and life insurance and other facilities are also existed. Brac Head Office is the destination for the job loaction.